In Hungary, Shepherds face difficult terrain and challenging weather and so need a dog that is quick on its feet, while having the drive and capability of handling large numbers of sheep. 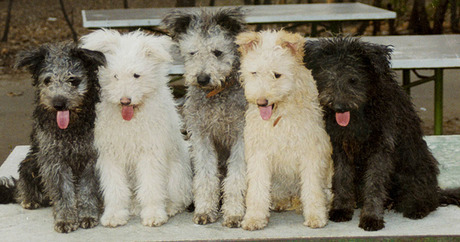 From this need came the curly-coated Pumi. Don’t let that adorable face fool you though, these 25-pound dogs are high-energy and thrive with a job to do. 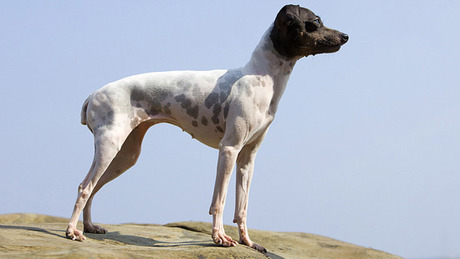 It’s a racing dog, it’s a hunting dog, no — it’s a Cirneco dell’Etna! These small, slender Hounds are popular in Sicily for rabbit hunting and with their keen eyesight, sharp sense of smell, and incredible speed, it’s no wonder they’re gaining in popularity in the United States as well. While American Terrier breeds were mostly developed for hunting (rodents, generally), the Japanese (or Nippon) Terrier was developed to be a human companion and lap dog. They are small dogs, generally under 9 pounds, and are known to be lively and affectionate. The Aidi, also known as the Atlas Mountain Dog, is native to northern Africa, where their original purpose was guarding livestock. Although they are now popular as pets, Aidis have retained the breed traits of being highly protective of their flock — both livestock and human alike. A diverse breeding pool means the dogs are generally free of inherited diseases common to purebred dogs. 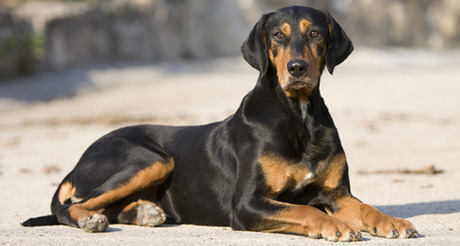 With less than 1,000 remaining across the globe, the Transylvanian Hound is one of the rarest breeds on our list. They were nearly made extinct when a Communist edict in 1947 targeted them for extermination, but a recent breeding effort has brought them back from the brink. 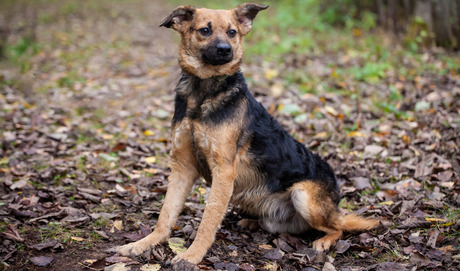 These handsome dogs are known for their soulful eyes and hunting without baying. 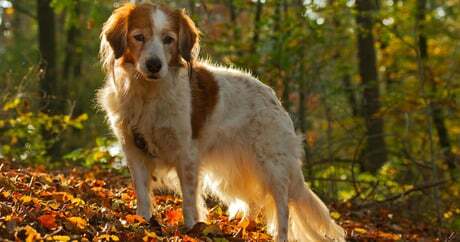 These little red-and-white Spaniels might be a mouthful to pronounce, but as a former favorite of Dutch royalty, they have a well-established history as duck lures and companions. They make excellent family companions and form very close bonds with their human family members. There is record of this ancient breed as far back as 750 A.D., where they were popular subjects of Peruvian pottery artwork. 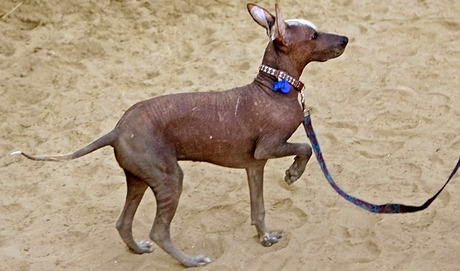 These dogs come in three sizes — small, medium, and large — and can range from 9 to 55 pounds, but the most noticeable thing about the Peruvian Inca Orchid is their lack of hair. 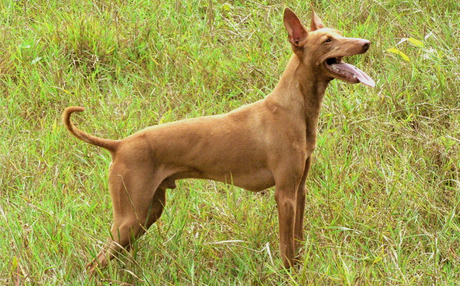 Occasionally these smooth-bodied dogs have crests of hair on their head, tail, or feet, but often, they are entirely bald. As a result, they often need to wear sweaters in winter and sunscreen year-round. With only about 400 known to exist in the world, the Tamaskan Dog is one of the rarest breeds on earth. Bred as a family companion, these dogs bear a strong resemblance to gray wolves, although they are entirely descended from domestic breeds of dog. 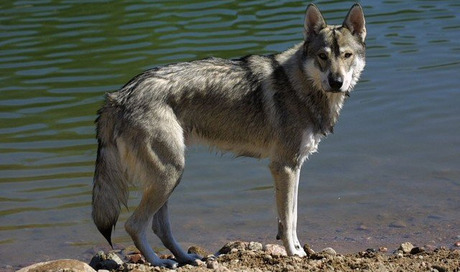 In contrast to several other artic breeds, the Tamaskan is said to be affectionate, sociable, and easily trainable. This breed is exactly what it sounds like, originating from a combination of the Standard Poodle and the Pointer more than 130 years ago. 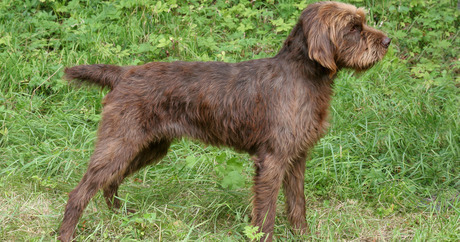 The rare breed has been preserved by an excellent set of standards by the North American Pudelpointer Alliance — ensuring the dogs are bred only when they possess certain physical and behavioral characteristics and are certified to be free of temperament problems as well as inherited diseases such as hip dysplasia. While there are only approximately 60 dogs meeting the breeding standards in the United States, the Alliance has the breed’s best interest at heart and would rather see them preserved and responsibly developed than explode in popularity. If you are looking for a dog who is guaranteed to be unique, check your local animal shelter. 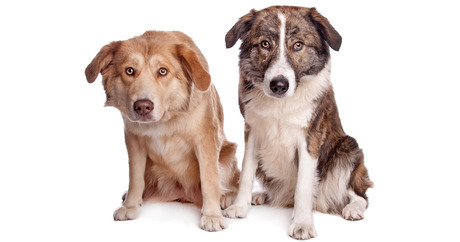 75 percent or more of dogs in shelters are mixed breeds and no two dogs are exactly alike. So, to find the ultimate companion who is sure to turn heads, win hearts, and be truly one-of-a-kind, adopt an All-American mutt.